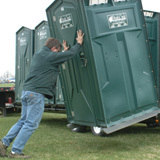 Hauling portable restrooms to and from an event has always been a labor intensive mess of straps and tie-downs. 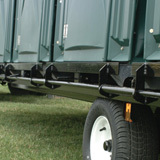 Delivering a partial load meant removing all the straps and then re-securing before continuing to the next site. 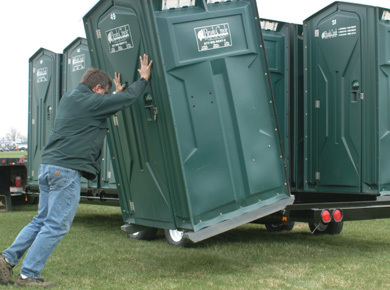 Skimping on the straps would lead to the inevitable restroom road kill. 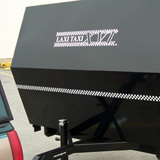 All of these issues are solved by the Laxi-Taxi X™. 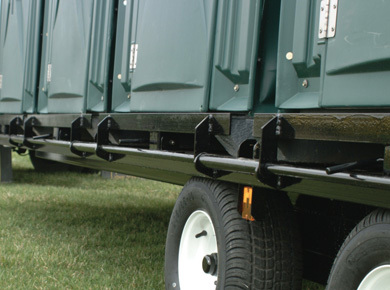 The Laxi-Taxi X™ has been designed with individual positive action clamps which fasten over the existing portable restroom’s skids. 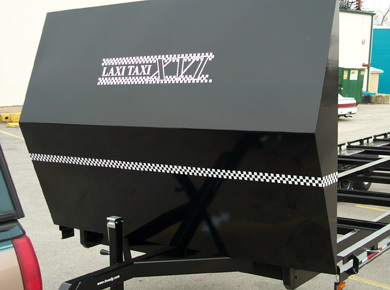 Because each unit is secured individually, making deliveries to several locations does not require wasting time unstrapping the entire load. 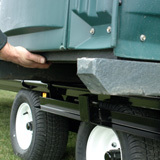 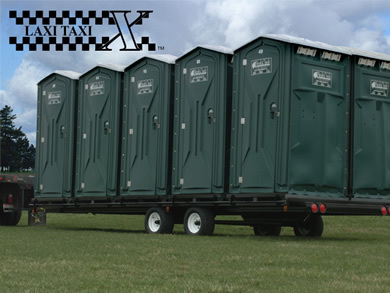 In addition, the low profile of the Laxi-Taxi X™ makes it possible for one employee to both load and unload the portable restrooms.